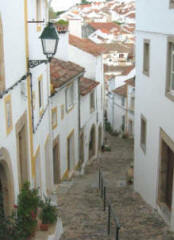 Explore hidden Portugal with its authentic villages, landscapes and historical sites. Admire its art treasures. Taste local cuisine and the many different wines famous regional wines. Day 1 - Arrival. Transfer from Lisbon Airport to the hotel, dinner and overnight in Lisbon. Day 2 - Morning visit to the most impressive historical parts of Lisbon, Edward 7th Park, Liberty avenue, Rossio Square, the Quarter of Alfama with its unique Cathedral that dates back to the 12th Century, and its narrow streets that remind of the Moorish occupancy. Continue on to the most historical quarters of Lisbon -The Discoveries Quarter of Belem, from which the Portuguese Caravels sailed off to the epic maritime discoveries. Once at Belem, visit two of Lisbon’s jewels and symbols -The Jerónimos Monastery and The Tower of Belem -whose origins date back to the 16th Century, both considered a World Heritage, representing the most luxurious and prestigious times of the Portuguese Monarchy. Before leaving Belem, a visit to the “Pasteis de Belém”- a local pastry shop to taste the delicious and traditional “Pastel de Nata”, served warm with sugar and cinnamon on top. If interested, we can ask the shop to do a demonstration on how this local favorite is made. In the afternoon visit to the Calouste Gulbekian Museum. The Gulbenkian complex features a museum that houses a magnificent private collection of Persian art, Egyptian sculptures, and paintings by the Old Masters. The permanent exhibition galleries are distributed in chronological and geographical order to create two independent circuits within the overall tour. The first circuit highlights Oriental and Classical Art on display in the Egyptian, Greco-Roman, Mesopotamian, Eastern Islamic, Armenian and Far Easter Art. The second circuit covers European Art with sections dedicated to the Art of the book, sculpture, painting and the decorative Arts, particularly 18th century French art and the work of René Lalique. Day 4 -We leave from Lisbon in the direction of the Sintra mountain range. Visit the charming Sintra National Palace in Moorish style with its conic chimneys and Manueline style windows as well as tile panels, OR visit the romantic Pena Palace, the Medieval royal palace of the Portuguese kings situated in one of the highest peaks of the mountain range. Take some time to walk around the narrow streets of Sintra, full of small shops selling Portuguese tiles and ceramics, taste the delicious tarts known as queijadas; the walk itself is like walking back in time. Lunch at leisure. Day 6. After breakfast, following north in the direction of Porto we’ll visit on the way: the hand made glass Jasmim factory and the special town of Coimbra, with its university, one of the oldest ones in Europe. It has kept its secular academic traditions as seen in the black-caped students. Visit the famous Library Joanina. Leaving Coimbra toward Porto town, enjoy the exuberance of the forest of Bussaco and Aveiro, the Venice of Portugal, city of canals where we’ll have a brief stop. Continue on to Porto town, located on the right bank of the Douro river, that crosses the Porto wine region. Dinner and overnight in Porto. Day 7. Visit the beautiful and one of the most ancient cities of Europe with plenty of historic and cultural memories. Porto is granted the UNESCO World Heritage status. Take a unique and unforgettable tour through the “Bairro da Sé”, the heart of ancient PORTO of medieval roots. Following to the Ribeira Quay we’ll take a short cruise called “Cruise of the bridges”. It will give you the opportunity to see the old part of Porto, the architectural forms of the city emerging majestically. It is a dazzling landscape, unique in the world. End this unforgettable tour in a famous wine cellar with wine tasting, in the historical heart of VILA NOVA DE GAIA in an atmosphere that will take you on a journey to the past. Afternoon at leisure. Dinner and overnight in Porto. Day 9. Morning free in Porto. In the afternoon leave through the inland mountainous Porto wine region, the Douro Valley, trough a landscape with granite houses and spectacular views of terraces and slopes of vineyards leading down to the river, to reach the charming Mesão Frio. Dinner and overnight in Peso da Regua or Pinhão. Day 10. Day at leisure for relaxing or walking around in a rural scenic area. Overnight at the same place as the night before. Day 11. After breakfast , drive through the heart of Portugal passing the highest point of the country, the Estrela Mountain range in the direction of the beautiful Castelo de Vide, proud of its Jewish quarter of Medieval whitewashed houses. Dinner and Overnight in charming Castelo de Vide. Day 13.A morning walking tour from Giraldo square through the handicraft streets to the remains of a Roman Temple and the Cathedral and St Francis Church with its unique Bones Chapel. In the afternoon visit to the vineyards, with wine tasting in the Herdade do Esporão, located in the Heart of Alentejo region, in Reguengos de Monsaraz. Dinner and overnight in Evora. Lisbon: Choices are: Chiado Museum, National Museum of Ancient Art or the National Coach Museum. Farewell dinner and overnight in Lisbon. National Museum of Ancient Art showcases Portuguese and European paintings and sculpture from the 12th to the 19th centuries, including some outstanding works like The Temptation of St. Anthony (1510), by Hieronymus Bosch, or the so called Painéis de São Vicente, of mysterious origin, as well as ceramics, woven fabrics, furniture and decorative arts and sacred art from the Medieval to the Baroque period. National Coach Museum: The most important world collection of coaches, formed by the sumptuous vehicles used by the Portuguese Royal Family from the 17th to the 19th centuries, harnesses, uniforms and costumes. Three coaches made for the Portuguese ambassador to Pope Clement XI deserve special attention.